Founded in 1963, the Maryland Federation of Art (MFA) has been bringing artists and their art to the Annapolis community for almost 50 years. In celebration of the upcoming anniversary, MFA wants to honor those individuals who in their lives have made the dream of a community art gallery a possibility through the establishment of a Legacy Society. The Legacy Society will accept estate gifts in support of the organization. By remembering MFA in your estate plans, you can make a significant impact on the future of the organization. 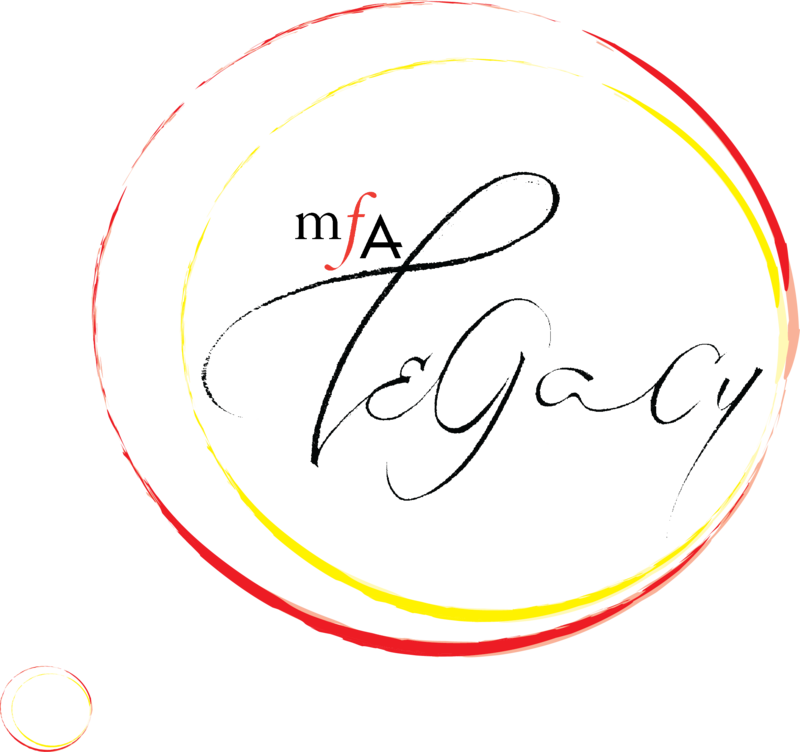 As a member of The Legacy Society you extend to a grateful artist community the opportunity to celebrate, in your lifetime, a gift that will ensure reality of making art a part of our community. Remembering MFA in your will is the easiest way to ensure future financial strength and organizational success as well as potentially reducing federal estate tax. Making a bequest is as easy as adding a codicil to your existing will. If you notify MFA of bequest in your will, you will automatically become a member of the LEGACY society. There is no need to specify the amount of the bequest. Making a gift of appreciated securities to MFA can be more advantageous than making a cash donation since the fair market value of stocks may be deducted from your income tax, regardless of what you paid for them, and you pay no capital gains tax on the donated securities. Qualified retirement plan assets – including IRA, 401 (k), 403 (b), Keogh, SEP and other retirement plans – can be among the most heavily taxed assets you can own. Donating your retirement plan to MFA ensures the full value of your hard-earned assets will benefit generations of artists and art lovers. You can make a significant gift to MFA without adversely affecting your current cash flow by donating surplus, paid-up life insurance policies. Your donation supplies you with an immediate gift credit form MFA and a tax deduction. MORE INFORMAITON on how to make a gift to MFA, please contact MFA Executive Director. For legal and financial advice, please consult your own attorney and/or financial advisor. Please know that any gift of any amount is received with gratitude as it not only ensures our future but also validates our past. We know that art makes a difference in our community. Your gift proves it. For 50+ years, MFA has brought art to the public. Won’t you please join us in continuing to provide the community with art in traditional and contemporary media by inspiring and mentoring future generations of artists. A bequest to the MFA can be made by creating a new will or adding a codicil to your present will. You may specify a percentage of your total estate, a specific dollar amount, or personal property that you would like to give. I give ( ________ dollars) (a specific asset) or ( ________ percent of the rest, residue, and remainder of my estate) to the Maryland Federation of Art, 18 State Circle, Annapolis MD 21401, a nonprofit corporation, to be used at the discretion of its governing board. For legal advice, please consult an attorney. For more information, please contact Executive Director Joann Vaughan (410) 258 4566 or jvaughan@mdfedart.org.